William (Billy) Gillespie was born in Strathclyde, Scotland, on 2nd October 1873. He played local football for Strathclyde before joining Lincoln City in 1895 in the Second Division of the Football League. A centre-forward, he scored 16 goals in 37 games before signing for Manchester City in January 1897. That season he scored 4 goals in 11 games. Gillespie formed a great partnership with the great Billy Meredith and in the 1897-98 season he scored 18 goals in 30 games. 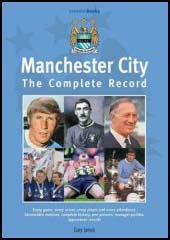 In the 1898-99 season Gillespie and Meredith helped Manchester City win promotion to the First Division of the Football League. Meredith scored four hat-tricks and ended up the season with 29 goals, whereas Gillespie scored 17. Manchester City did not find it easy in its first season in the top division and finished in eighth place. Gillespie only scored 8 in 28 games. The following season was even worse and the club finished eleventh. Gillespie lost his place to Joe Cassidy but still managed to score 9 goals that year. Cassidy was sold to Middlesbrough at the end of the season for £75 on the grounds he was not worth his £4 a week wages. 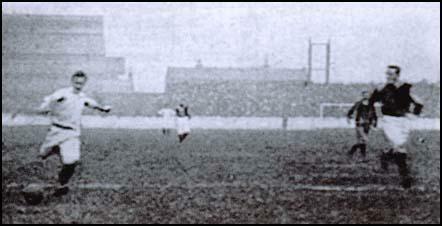 In the 1901-02 season Gillespie returned to form scoring 15 goals in 24 games. However, it did not stop Manchester City from being relegated. The manager Sam Ormerod resigned and was replaced by Tom Maley, the former Preston North End player. In a pre-season public practice game, Di Jones, who played with Billy Meredith in the Welsh national team, gashed his knee. Despite treatment from the club doctor, within a week the wound had turned septic and the player died. Billy Gillespie against Newton Heath in 1898. Tom Maley decided to build a team around his star players, Billy Gillespie and Billy Meredith. This included players such as Billy Jones, Herbert Burgess, Sandy Turnbull, Irvine Thornley, and Jimmy Bannister. That season Manchester City won the Second Division championship by scoring 95 goals in 34 games. The top marksmen were Gillespie (30), Meredith (23), Turnbull (12) and Bannister (12). The following season Manchester City again challenged for the championship. Gillespie was once again top scorer with 18 goals in 24 games. City needed to beat Aston Villa on the final day of the season. Sandy Turnbull gave Alec Leake, the Villa captain, a torrid time during the game. Leake threw some mud at him and he responded with a two-fingered gesture. Leake then punched Turnbull. According to some journalists, at the end of the game, Turnbull was dragged into the Villa dressing-room and beaten-up. Villa won the game 3-1 and Manchester City finished third, two points behind Newcastle United. The Football Association was now forced to carry out another investigation into the financial activities of Manchester City. They discovered that City had been making additional payments to all their players. Tom Maley was suspended from football for life. Seventeen players were fined and suspended until January 1907. Gillespie refused to pay his fine and instead emigrated to the United States. He settled in Lynn, Massachusetts and coached football at nearby Harvard University. Billy Gillespie died in Lynn, Massachusetts in 1942.